May 6 through June 3 in the Parish Hall. There are many paths to heaven! Each of us is called to discover our own unique way to grow in holiness through Christ whether it be as a parent, spouse, babysitter, beautician, bartender, or businessperson. And no matter the occupation or role we play in life, there are ten characteristics that should shine in the life of every Christian disciple. These are what Fr. 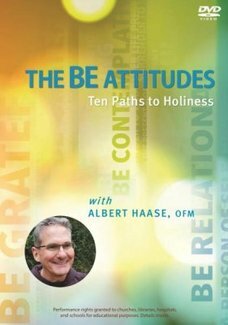 Albert Haase, a renown Franciscan writer and speaker, calls "The BE Attittudes." Join us for 5 weekly sessions this Easter season to view the DVD presentations and then reflect and share with a welcoming and supportive small group.